Terence S. Dermody, M.D., Children's Hospital of Pittsburgh of UPMC, Pittsburgh, Pennsylvania, has won the 2016 D.C. White Research and Mentoring Award. Dr. Terence S. Dermody is the Chair of Pediatrics at the University of Pittsburgh School of Medicine, Physician-in-Chief at Children’s Hospital of Pittsburgh, and Scientific Director of the Rangos Research Center. Dr. Dermody received his B.S. degree from Cornell University, and his M.D. from Columbia University. He completed an internal medicine residency at Presbyterian Hospital in New York and fellowships in infectious diseases and molecular virology at Brigham and Women’s Hospital and Harvard Medical School. 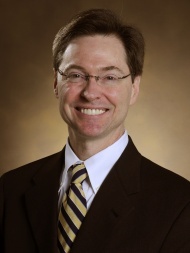 Dr. Dermody served as the Dorothy Overall Wells Professor of Pediatrics and Director of the Medical Scientist Training Program and Division of Pediatric Infectious Diseases at Vanderbilt University School of Medicine, and the Professor of Pathology, Microbiology and Immunology at Vanderbilt and Adjunct Professor of Biomedical Sciences at Meharry Medical College. Dr. Dermody is a virologist with interests in viral pathogenesis and vaccine development. Most of his research has focused on reovirus, an important experimental model for studies of viral encephalitis, and chikungunya virus, an emerging arthropod-borne virus that causes epidemics of arthritis. His research contributions have come in understanding how these viruses enter into host cells and cause orgain-specific disease. He has published more than 220 articles, reviews, chapters, and editorials and has been recognized for his research accomplishments by the Vanderbilt Ernest W. Goodpasture Faculty Research Award, an NIH Merit Award, and the ASM D. C. White Research and Mentoring Award. Dr. Dermody is a member of the American Academy of Microbiology, American Pediatrics Society, American Society for Clinical Investigation, Association of American Physicians, and Society for Pediatric Research and a fellow of the American Association for the Advancement of Science. He is as past president of the American Society for Virology, past chair of the AAMC GREAT Group MD/PhD Section Steering Committe, and current chair of the Virology Division of the International Union of Microbiological Societies. Dr. Dermody is an editor for the Journal of Virology and mBio and an associate editor for the Annual Review of Virology. He is a member of the Board of Directors of the Burroughs Wellcome Fund. Dr Dermody will present "Following the Journey of Reovirus from Intestine to Brain" at the 2016 ASM Microbe Meeting.